Standard filter cartridge meets filter class M according norm no. EN 60335-2-69 with an average extraction degree of 99.9%. 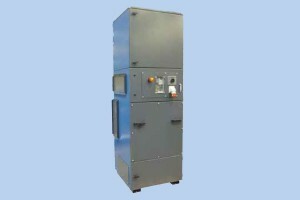 Mobile compressed-air cleaned filter unit with integrated fan and control. 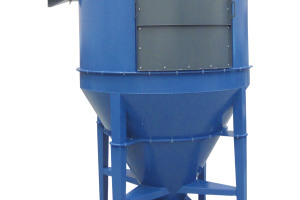 Designed for filtration of process extraction in connection with shifting work places and special working conditions, e.g. special welding jobs on shipyards, sand blasting of bridges or in tunnels. Low height enables unit to be easily moved from place to place. 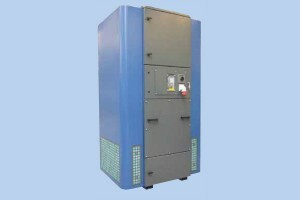 Compressed-air cleaned filter unit that advantageously can be mounted, where space is limited or built together with several modules to a larger central unit. A futureproofed solution that continuously can be expanded. 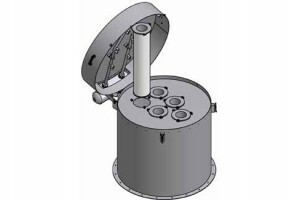 Used for air cleaning in connection with process extraction from e.g. 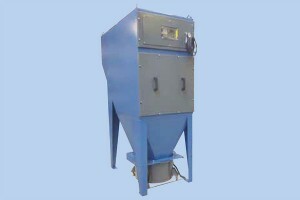 welding, cutting, grinding or powder handling. Complete and space-saving ”Plug & Play” compressed-air cleaned filter unit with integrated fan to be used for air filtration from processes that form limited dust volumes (welding, cutting, grinding and similar). 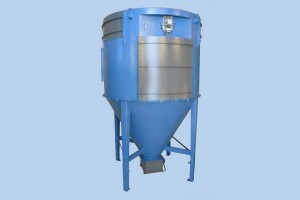 Can be placed in the production room and filters extraction from up to 7 simultaneous welding places. Compact high vacuum unit that can be used as central vacuum cleaner for cleaning or hand tool connection. 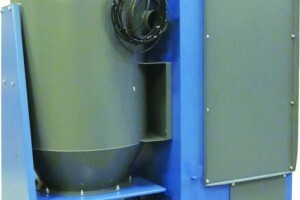 Compressed-air cleaned filter unit with timer control built together with side channel blower in sound enclosed cabi- net and mounted on strong transport platform. 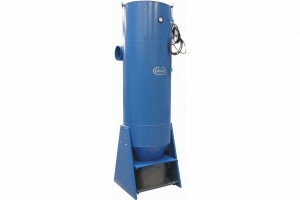 Compact compressed-air cleaned filter unit with timer control for filtration of welding smoke, grinding dust, cutting smoke and dusty air containing metal, rock, plastic etc. or from handling various powder mixes. Air distribution modules for application with Filterline type FL. 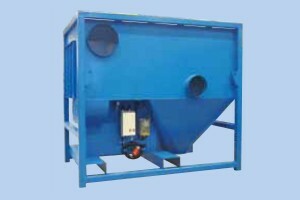 By this compact filter units are obtained for air cleaning in polluted rooms, where recirculation is permitted.